Not only were the press wrong with the story that Bono had not given her permission, they missed another very important fact. U2 were so ok with her covering the song, that Larry Mullen and Adam Clayton both play on the song, recorded at Olympic Studios in London. Thus all four members of U2 are involved in this song, with Bono and The Edge having written the song, and Adam and Larry performing on drums and bass on the track for Nancy Sinatra. 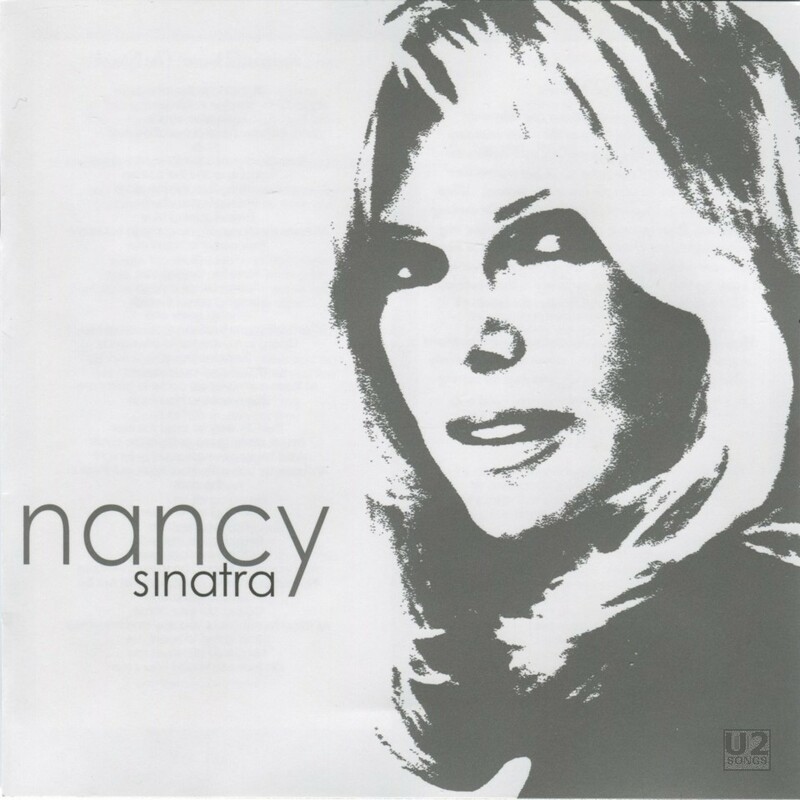 The song featured on her album “Nancy Sinatra” released in the fall of 2004. It was also released in the UK as a b-side to the single “Burnin’ Down the Spark”. The album was partially produced by Sinatra’s daughter AJ (Frank Sinatra’s granddaughter) who also picked the running order of the CD. Two Shots of Happy, One Shot of Sad: Music: Bono & The Edge. Lyrics: Bono. Published by Universal Music Publishing BV except Blue Mountain Music Ltd (UK), Mother Music (Irl.). Recorded at Olympic Studios, London & Sonora Recorders, Los Angeles. Larry Mullen: Drums. Adam Clayton: Bass. Don Randi: Piano. John de Patie: Guitar. Lanny Cordola: Guitar. Produced by AJ & Matt Azzarto and Don Fleming. Mixed by Keith Barrows at Sonora Recorders, Los Angeles. 2nd Engineer: Dan Hoal. Mastered by Kris Solem at Future Disc, Los Angeles.